Say hello to the borderless account. Welcome to the easiest way to pay and get paid around the world – at the real exchange rate. Say bye to crazy fees for good. Get paid from around the world. Coming soon! 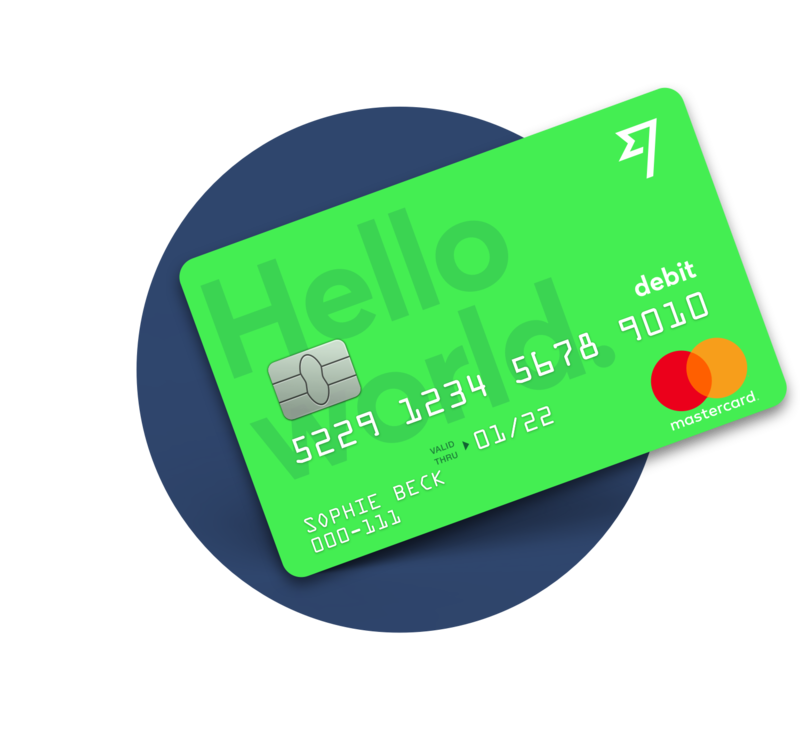 The TransferWise debit Mastercard. Spend around the world with low conversion fees and no foreign transaction fees. 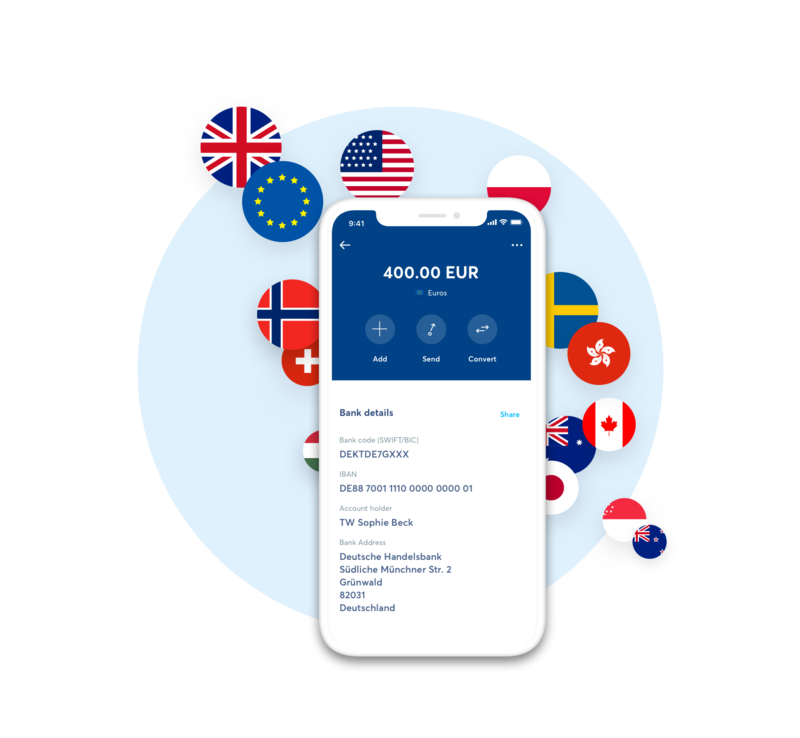 You can hold over 40 currencies for free in your TransferWise borderless account and switch between them in seconds – on the move, in the moment, or when the rate is right. The TransferWise borderless account is free to to open and there's never any monthly fees to worry about. And we never hide extra fees in our exchange rate. Calling all freelancers! Get paid with no fees. Invoice your clients in their currency and receive money with no fees. 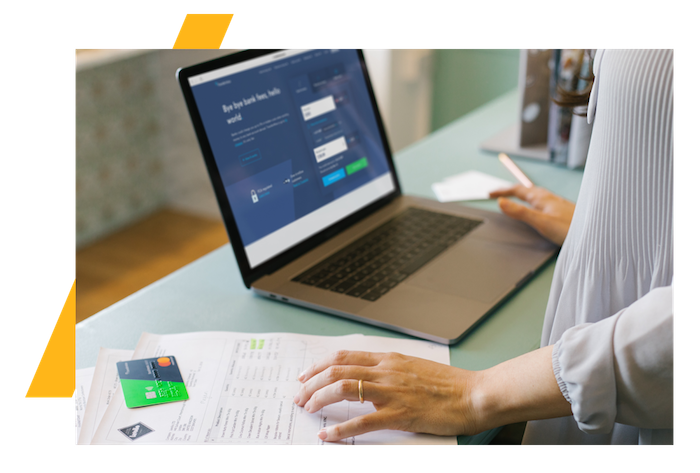 Get UK, Eurozone, Australian, New Zealand, and US bank details for free in minutes – without a local address. Use them to invoice clients or withdraw money from platforms like UpWork and Freelancer.com. You'll always see these fees upfront, so there are no nasty surprises. And you're guaranteed the mid-market exchange rate – like the one you see on Google. Adding money to your balances is the same as making a transfer. Choose how you’d like to pay, and we’ll tell you how much it costsーand when the money will arrive. It's free to send money from one borderless account to another. And there's a small fixed fee to send money from your borderless account to a bank account. All the money in your borderless account is securely stored in TransferWise's bank accounts. 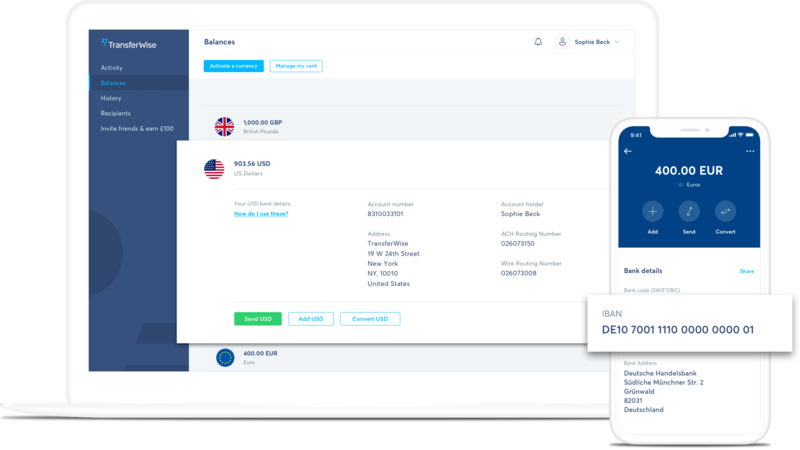 If the address on your TransferWise profile is in the US, your money's stored in TransferWise's American bank accounts. TransferWise Inc. is registered with the Financial Crimes Enforcement Network (FinCEN) with money service business registration number 31000065314305. It is licensed as a money transmitter in the states listed here and supervised by regulatory authorities in each of those states. In other US states and/or territories, money transmission services are offered by our partner financial institution Community Federal Savings Bank, which is supervised by the Office of the Comptroller of Currency. In the United States, we bank with Community Federal Savings Bank (CFSB), Cross River Bank (CRB) and Wells Fargo. All of these banks are insured under the Federal Deposit Insurance Corporation (FDIC). You can find more information about the FDIC here. You can see more information about security and our communication with you on our dedicated page here. More than four million customers have trusted us to move their money around the world. We move more than $2 billion every month at TransferWise – and we take the safety and security of your money seriously. Welcome to money without borders.